Hi loves! I hope everyone had a good weekend? Spent some time with family, cooking on the grill and sitting by the fire, Spring is most definitely in the air here! 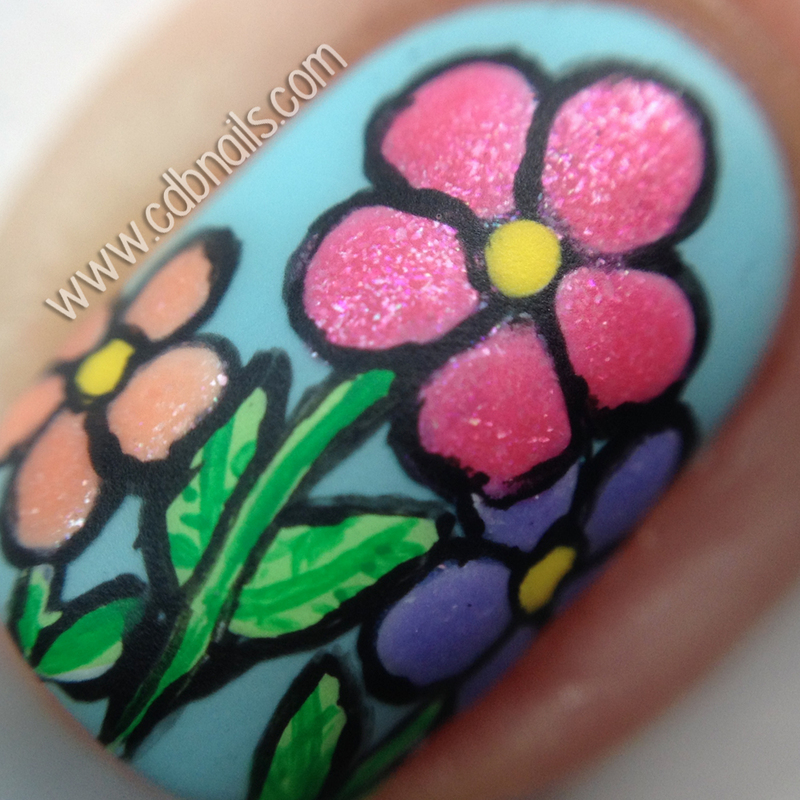 Today is a rainy day though so figured out of all 5 of my Digital Dozen manis this one would be perfect for today. This months Digital Dozen prompt is Spring. And I did my design based on the quote "April showers brings May flowers"
Everything is free hand painted using Acrylic Paint as well as nail polish. I used a matte top coat and then used a glossy top coat to create the rain drops. 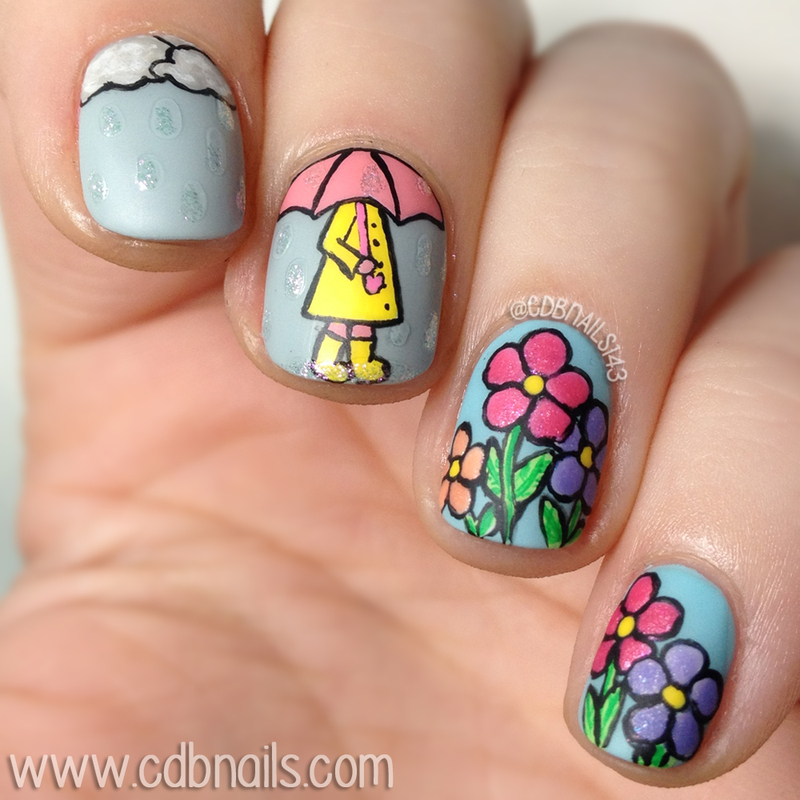 I had fun creating this cute little mani, I especially enjoyed painting the little umbrella girl. What do you guys think? Well thanks for stopping by! Check out the other ladies of Digital Dozen Spring nails below! I could totally guess where the inspiration came from! Gorgeous look as usual! I liked the flowers that you have painted, but i'm living in South Africa and we have Summer at the moment, so i'm actually looking forward to Autumn! Ah-mazing! 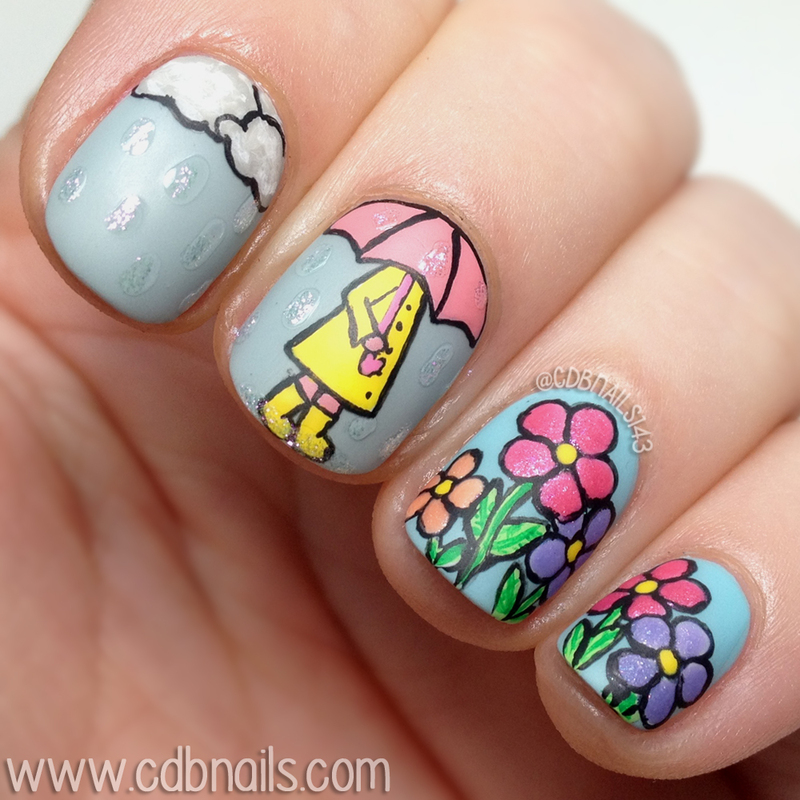 I love this design and how you did the raindrops! Ohh it's so cute! LOVE! Ficaram muito lindinhas, legal a brincadeira.